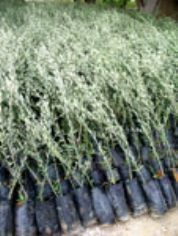 The Olive Tree Nursery offers for sale excellent quality young olive trees. 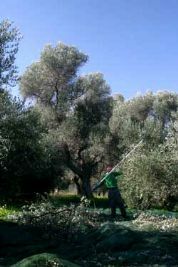 The young trees are available for export from Crete to all areas of Greece and to other destinations around Europe and Worldwide. Trees can be shipped, purchased cash and carry or you can purchase them by phone and send your own vehicle to collect them. 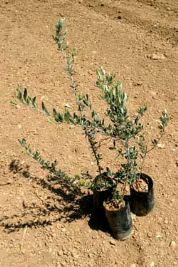 The age of our olive trees is from 3 months to 1 year. They are 30cm - 1m in height. Price is negotiable depending on how many trees you want to buy. Please contact us for details of prices.